Seattle doesn’t disappoint when it comes to food. From steaming bowls of noodle soup for those rainy Pacific Northwest days to unbelievably fresh seafood to savor on balmy summer evenings, there’s a diverse range of restaurants that makes it an exciting city to eat your way through. After writing this I noticed there were a considerable amount of sweets in this guide, so blame it on my massive sweet tooth. Here are the best places to eat in Seattle in my humble opinion. This café is one of my favorite places in the city to pop into for a quick breakfast and get one of their decedent biscuit sandwiches. The Spanish Fly with prosciutto, a fried egg, and arugula hits the spot. For less hearty options, there are also homemade biscuits in flavors like buttermilk and cheddar chive with your choice of made-in-house sweet and savory spreads. There is limited seating, so come early if you want to avoid the long wait times. Insanely good French pastries in this beautiful Ballard neighborhood cafe. Get there in the morning (9 on weekdays, 10 on weekends) to be first in line for their quiche right out of the oven. Their croissants are perfection, whether you get the chocolate or almond flavor. For something a bit different try their cardamom pretzel, which has a lot of flavor without being too overwhelmingly sweet. Get your morning sugar fix here in the form of donuts that have just the right amount of sweet, without being too heavy. Sprinkles, old fashions, apple fritters, choices abound. The Belltown location is their flagship store with a beautiful interior and lots of room to eat your treat on the spacious second floor. With so many delicious options, repeat visits are a must. Make sure to go early, since they tend to sell out quickly. Seattle may be a coffee town, but there is something for tea lovers as well. Tucked away in a quiet alley near Pike Place Market, this spacious tearoom has rows and rows of tea available for on-the-spot brewing. The staff are very welcoming and knowledgeable about helping you pick out a tea that suits your personal taste. There are also a few window seats that are perfect for spending an hour or so people watching and taking a break from the bustle of the marketplace. This local café located across the street from Pike Place Market is a great place to start your morning or to take a midday break in. They serve plenty of good things to eat (get their hearty breakfast sandwiches) and drinks (including $5 beers and wine). Get one of their specialty coffee drinks like their Aztec Mocha, settle in one of their comfy couches, browse one of the provided local papers and you’ll feel at home in no time. This space is a coffee lover’s dream with plenty of coffee-centric things to see and taste. Even though I’m more team tea, I loved walking around the beautiful interior and learning how coffee is made. There are three coffee bars that offer coffee, pastries, and a mixology bar that features drinks like the Espresso Martini. Get a flight of coffee samples if you want to try more than one flavor. There is also a Serious Pie (see review below) in the same building if you want to get something more than coffee and dessert. Pike Place Market has a lot of great grab-and-go food options, including this Chinese bakery. My personal favorite is their steamed buns with chicken, where the meat is tender and blends well with mushrooms inside a soft white bun. They also have BBQ pork and curry buns which are also worth ordering. Other dim sum options like the huge siu mai make a delicious and filling snack. Another spot in Pike Place Market that is a must stop for me is this wildly popular Russian bakery that turns out the best piroshkies. There is almost always a line out the door, but it moves relatively quickly. You can smell the freshly baked goods halfway down the block and once you get inside you will be overwhelmed in the best way possibly with all sweet and savory pastries choices. It’s hard to go wrong with any of the options, but a good place to start is the beef and onion piroshky. 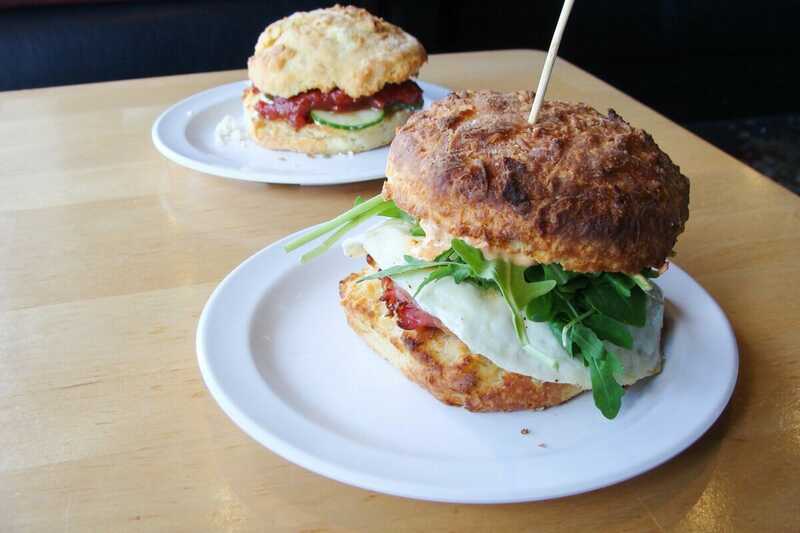 In Ballard there’s a strong Scandinavian influence, where you can find places like this well-stocked market/cafe. They have a small menu that includes well-seasoned open-faced sandwiches (get the shrimp or the salmon), a hearty lamb and pea soup, and an assortment of desserts. After your meal, you can wander the aisles and stock up on imported goods and groceries. A welcomed bonus is that they have their own parking lot. For a more casual seafood experience, head over to this West Seattle spot. It’s one of my favorite neighborhoods in the city for wandering around and stopping by the Alki Beach for stunning views of the water. There are plenty of memorable options including shrimp tacos and fish and chips. I went here with my good friend on the last evening of our Seattle girls’ trip and it was the perfect seafood feast to wrap up our trip. We went all out and got the Celebration platter that included Dungeness crab, chilled prawns, and a bunch of oysters. Couldn’t recommend this place more if you’re looking for fresh seafood and scenic views of Elliot Bay. Take advantage of their happy hour that includes oyster and small plate specials. This Vietnamese restaurant which was famously visited by Anthony Bourdain is a bit out of the way in Rainer Valley, but is worth the trek. Get the popular ong choy beef salad, which has tender pieces of beef and a delicious sweet sauce. The place itself is unassuming (don’t judge a restaurant by its exterior), with family-style tables that are filled with regulars. They have the common dishes that you’ll find in most Vietnamese American restaurants, but if you venture away the well-known items you’ll find some treasures like the sour seafood soup or the fried catfish (call ahead to order since it takes awhile to cook). If you’re craving pizza in Seattle, this is the place to get delicious wood oven-baked pies topped with things like Yukon gold potatoes and truffle cheese. The thin crust pizzas can feed two people, especially if you get drinks and appetizers, but if you’re especially hungry one whole pizza will suffice There are only five pizza combos, but they are all delicious. Take advantage of their happy hour where you can get half-sized pizzas for $7, along with discounted wine and beer. Known for their ice cream sandwiches (made with Molly Moons ice cream), this cookie shop is a great spot to grab a sweet treat. Mackles’more (s’more cookie with chocolate chunks) was a personal favorite, with the Birthday Cake Cookie a close second. Gluten-free cookies are available as well. Ask for which cookies just came out of the oven, because their freshly baked cookies are something else. As someone who has a deep unwavering love of pie, I am a huge fan of this tiny Capitol Hill cafe where homemade pies are dished out, alongside an extensive drink menu. The interior seats only a handful of people, but there’s also a take-out window that’s a great alternative to ordering in. The Strawberry Rhubarb Crumble was incredibly flavorful and I would go back in a heartbeat to sample their other seasonal flavors. This ice cream shop is synonymous with Seattle, with its unique flavors like honey lavender and salted caramel. There are delicious sorbet and vegan options for those sensitive to dairy. Keep your eye out for seasonal flavors that embrace local fruit in season and are always worth trying. If you want to upgrade your order, Molly’s Favorite Sundae is an excellent mix of savory and sweet. Where are your favorite places to eat in Seattle?